Queer festivals, queer stokvels, pride parades, Pride marches, call it what you will, but the season to “protest and celebrate” as a community or collective has come around once more. Yeah no need to even remind me, I know that some of us if not most have at one point or another used Pride as a ‘hook-up space’ with some of us even getting married with lovers we met at Pride. Lest we forget how far we have come. 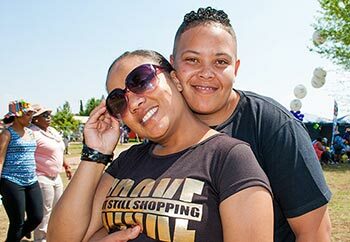 It was in 1990 that the first Pride March took place in Johannesburg, and we have celebrated and commemorated this day in earnest, year upon year since then with the numbers of pride-goers swelling and multiplying with each year. It is a form of expression that hasn’t lost its relevance. 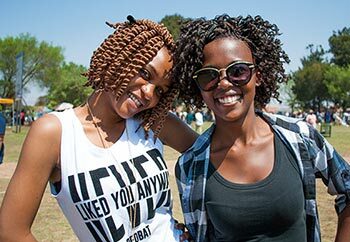 Its relevance is still palpable because there is still a need to present ourselves in the spaces that ordinarily shun our queer bodies. Before we go on any further, have any of you ever wondered what keeps sending us back to Pride over and over again, yeah some people have only done a couple or even no Pride at all but almost every queer body knows and has heard about Pride. The big question then becomes: what does Pride truly mean to each of us? Does the existence of numerous Pride marches give a glimpse of the varying ways in which we choose to express how we celebrate or remember this unmissable day? Amidst all the Pride festivities isn't it worth slipping it into regular Pride conversation how mindful one has to be of guzzling gallons without having taken some precautionary measures of some sort? Its usually advisable to drink a fair amount of liquids, non-alcoholic at this point I must add, eat right, a protein high meal before a wild turn-up weekend, this way, I'm told, you avoid getting a hellish hangover the next day. For whatever reason you celebrate Pride, be proud of who you are and let your true colours shine through 24/7.